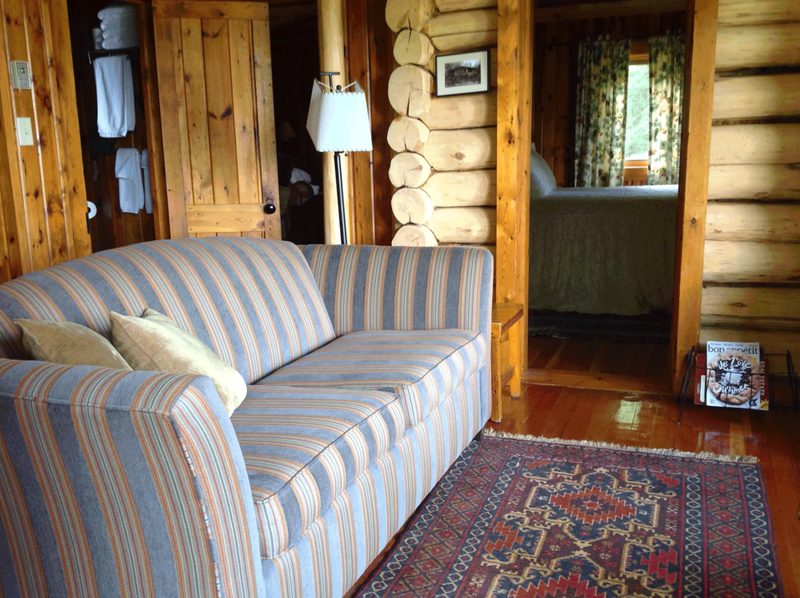 This is a two bedroom waterfront log cabin that was originally constructed in the 1920's. 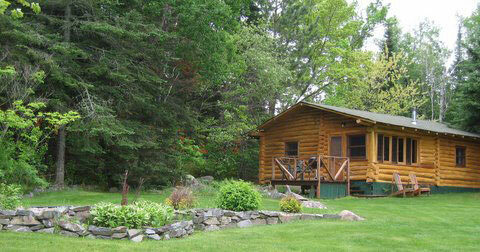 The cabin offers wonderful views of the lake right to the second beach and is only 120' from the water. 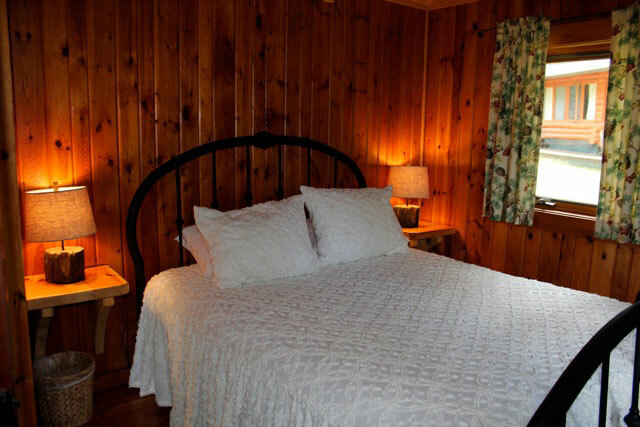 The interior of the cabin is knotty pine with wood floors. From the deck you enter the great room which is a combined cooking, dining and sitting area. The kitchen offers a full-size refrigerator with freezer, gas stove with oven, microwave, coffeemaker, toaster, pots & pans, wine glasses and utensils for four guests. A charcoal barbecue is located outside the cabin. A sofa and occasional chairs give comfortable places to enjoy the views of the lake. The sitting room also has a wonderful heater that is a free standing gas stove that provides the ambiance of a fireplace; but is thermostatically controlled. The master bedroom has a queen bed, the second two singles. The bathroom has a shower. The 2019 rate is $ 2 627.00 per week, or when available by the day, $ 413.00.